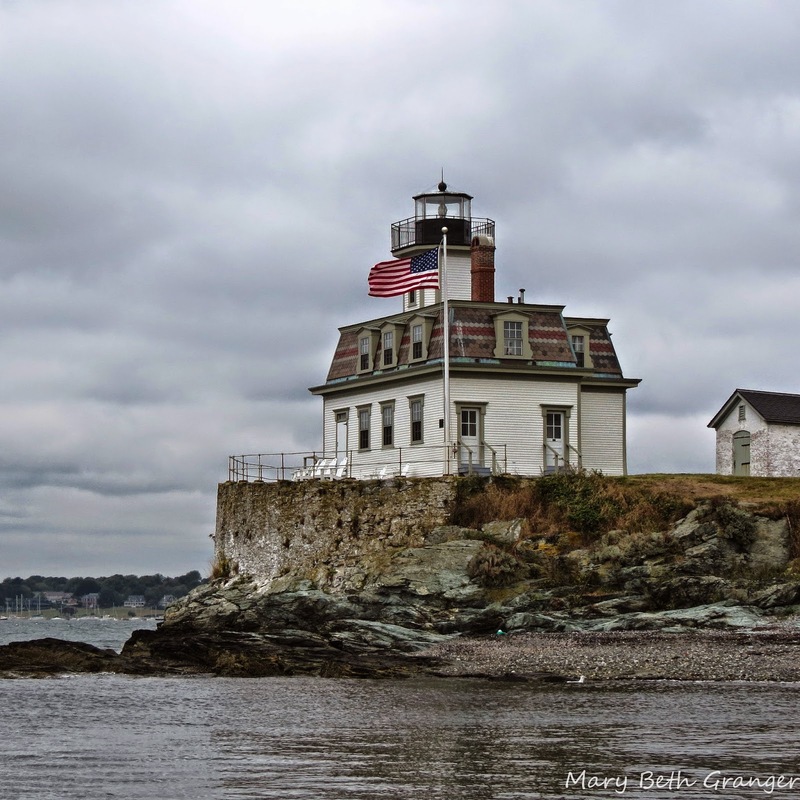 Rose Island lighthouse is located just off the coast of Newport Rhode Island on an 18 acre island. The lighthouse was built by Vermont architect, Albert Dow. It was first put into service in 1870. 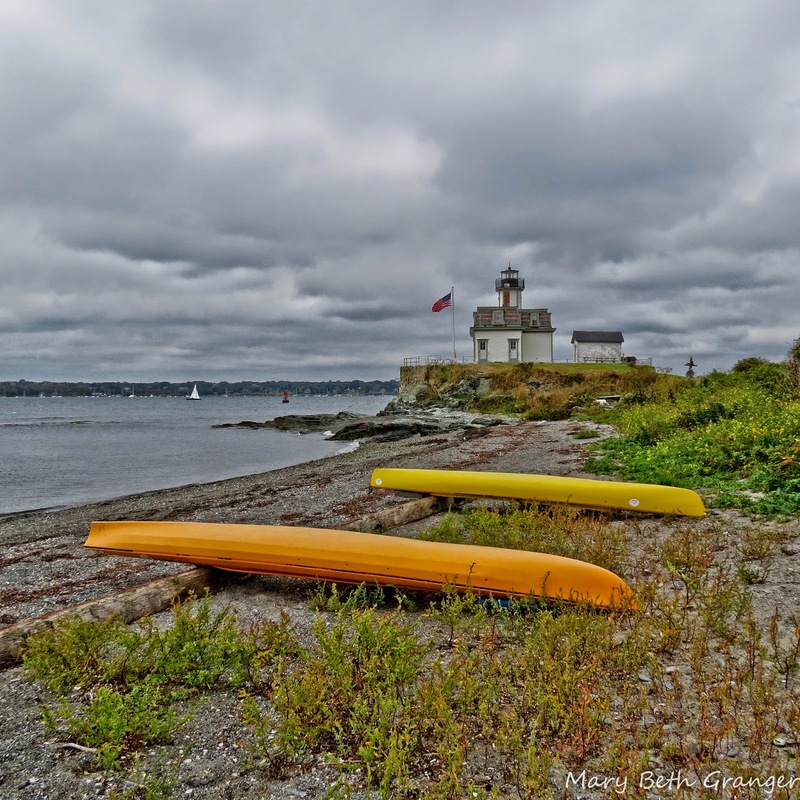 This charming lighthouse was used to help ships navigate Narragensett Bay for nearly 100 years. In 1970 a bridge was built near the lighthouse and the lights on the bridge overshadowed the lighthouse. 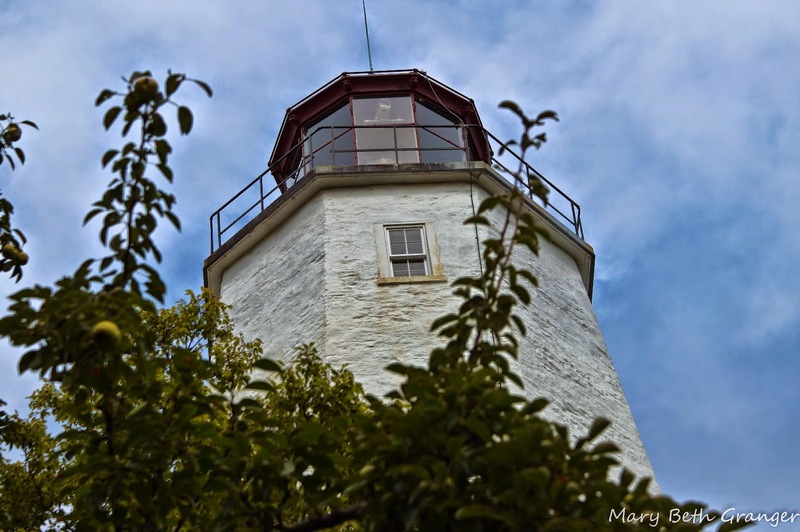 The lighthouse was decommissioned and lay vacant for a number of years. This view of the lighthouse was taken from the dock where our boat stopped to leave us off for our tour of the lighthouse and the island. The guide showed us how the lighthouse and grounds are eco friendly. The get all their water from a well that is pumped into the outhouse to use to flush the toilet. All items carried to the island are required to be recycled. 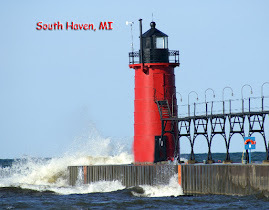 The view of the lighthouse below is one that I photographed while walking along the beach. 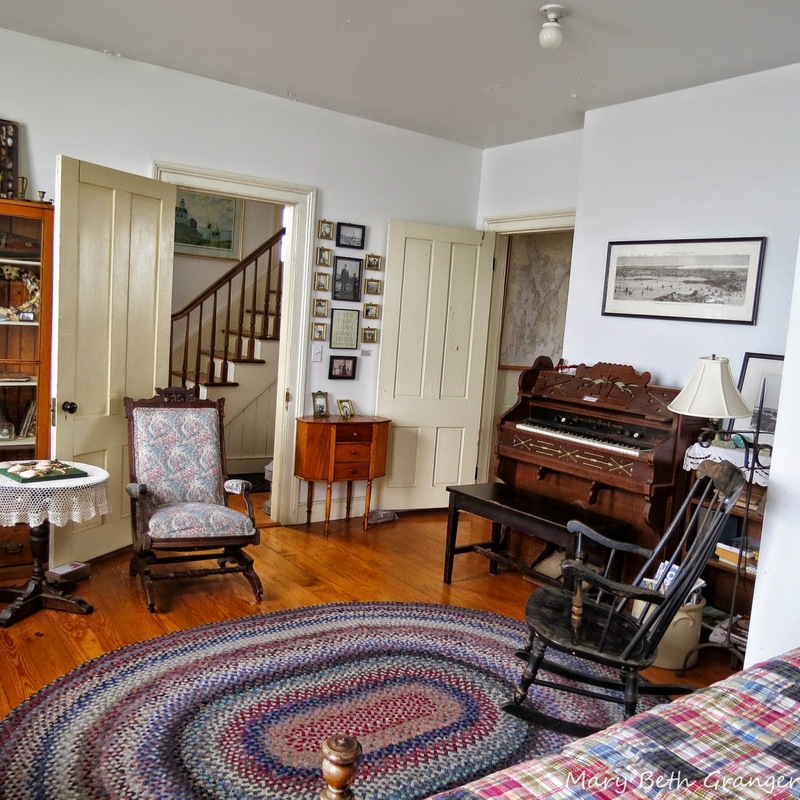 This photo shows one of the interior rooms of the lighthouse. The foundation that restored the lighthouse took care to find furnishings that would fit the time period when the lighthouse was in service. 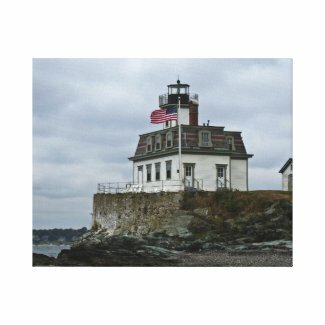 Enjoy you own canvas print of Rose Island lighthouse at Zazzle. Click on the link below. 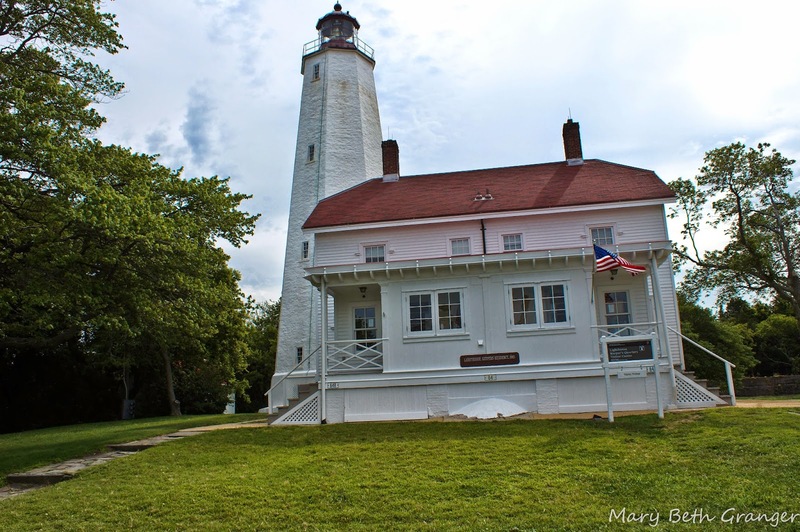 Sandy Hook lighthouse is found at the northern end of the New Jersey shore. It is located near the entrance to the New York harbor. This made it important in protecting ships going in and out of the harbor for more than 200 years. 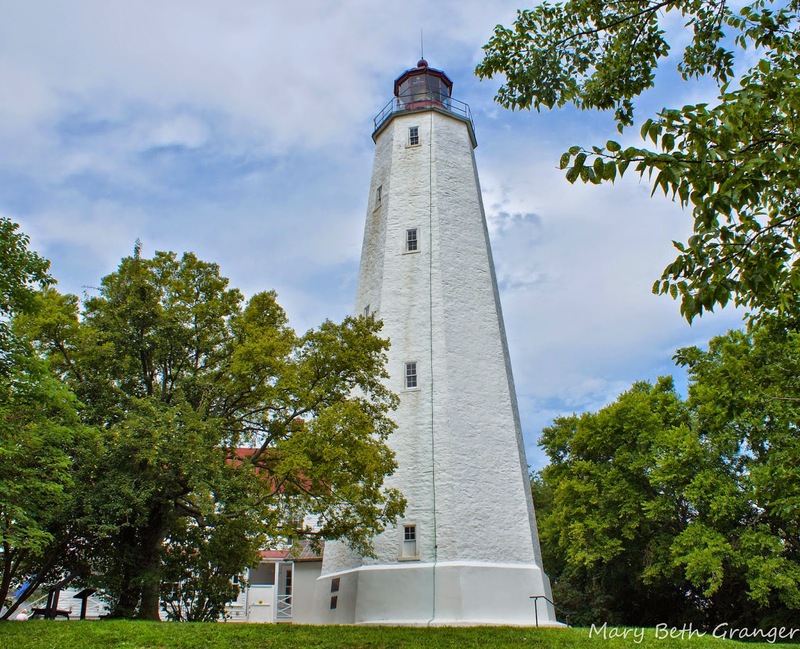 Sandy Hook lighthouse was first put into service in 1764 and as such is the oldest continuously operating lighthouse in the USA. 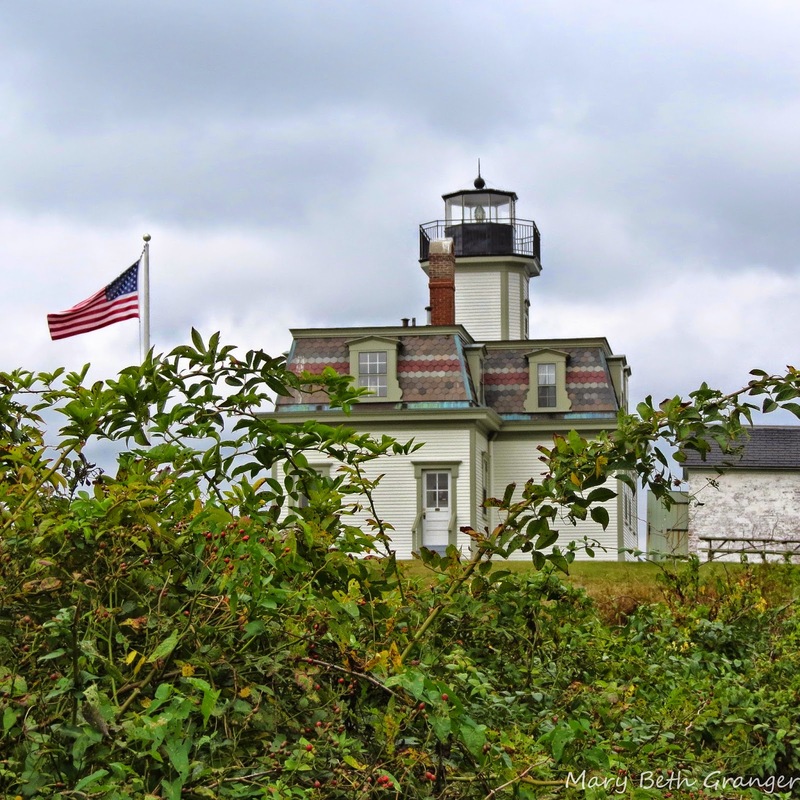 We visited Sandy Hook during a trip to visit lighthouses along the New Jersey shore. The lighthouse had a small museum and gift shop in the keepers house. The lighthouse itself is only open for visitors to climb on a scheduled and limited basis since it is still a working lighthouse. Sandy Hook lighthouse stands on the grounds of historic Fort Hancock. I spent some time walking around the lighthouse and looking for the best angle to shoot my photos. I like this shot of the top of the lighthouse through the trees. You can see the rough stone and the angled walls in the photo.